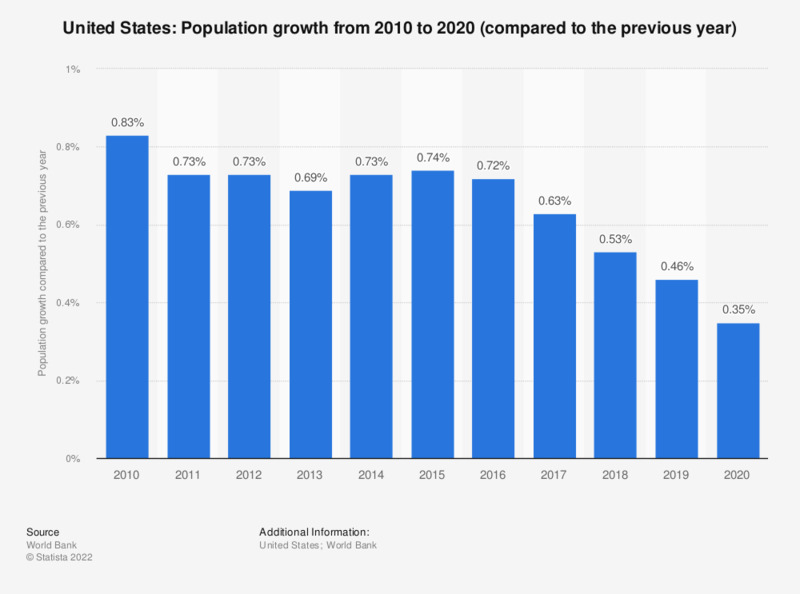 The statistic shows the population growth in the United States from 2007 to 2017. In 2017, the population in the USA grew by about 0.71 percent compared to the previous year. The United States is one of the largest countries in the world in terms of area size.